21 Lots for sale located at The Reserve near Fairystone Park and Philpott Lake in Patrick County. 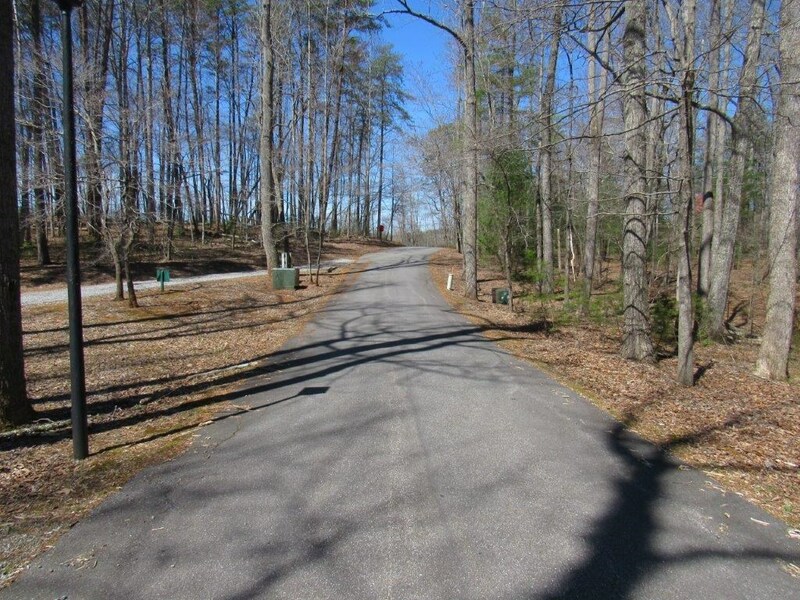 Wooded land with great building sites, just minutes from both the park and the lake. $60 per month HOA dues. If a single buyer gets all 21 tracts HOA dues don’t apply. That buyer would only have to pay for road maintenance and trash pick up if there is a shortage. To date there hasn’t been a shortfall. General Terms and Conditions – $2,900 reserve per lot (WOW! ), 10% buyer’s premium, $1,000 per lot Earnest Money Deposit. Download Bidder Information Pack for complete terms and conditions, purchase contract, maps, and restrictions. Auction Method – High Bidder’s Choice by Lot. Lots will be auctioned off “With Reserve” starting at $2,900 per lot and increasing until high bidder is identified. High bidder will have the choice of taking a single lot or multiple lots up to 21 lots. Any lots remaining after first round of bidding will be offered again using same process. This process will be repeated until all lots are sold assuming reserve is met. From Floyd: Take Route 8 towards Woolwine for 13.8 miles, then turn left onto route 618 / After 6.5 miles, turn left onto VA-57 / After 4.6 miles, turn left onto Fairystone Lake Dr / After 0.5 miles, The Reserve is on the right, Auction is on Reserve Trail. $2,900 reserve per lot (WOW! ), 10% buyer’s premium, $1,000 per lot Earnest Money Deposit. Download Bidder Information Pack for complete terms and conditions, purchase contract, maps, and restrictions. Matt enjoys working with Buyers and Sellers for Farmland, Waterfront, Vacant Land Tracts, Recreational Properties, Luxury Properties, and pretty much any Mountain Property. Matt has lived in Floyd County his entire life except when he attended nearby Radford University. Matt grew up in this area exploring the Blue Ridge Parkway, fishing on the Little River and other Trout waters, and is very familiar with the Blue Ridge Mountains and the surrounding Roanoke and New River Valley areas of Southwest Virginia. Matt enjoys spending time with his family and friends taking in the Blue Ridge Mountain Culture & Music Festivals, playing Golf at multiple courses the Blue Ridge Mountains offer and the outdoor recreational opportunities in and around Floyd County, Virginia. Matt is a licensed Real Estate Broker, Real Estate Appraiser, and Auctioneer. He can guide Sellers to determine the appropriate value of their Real Estate, and then help determine the best way to sell their property whether it’s a traditional Real Estate Listing, Online Auction, or Live Auction. Matt is a graduate of Radford University with a Masters’ Degree in Business Administration and a Bachelor Degree in Finance. As a native of Floyd County and a former Loan Officer with the Bank of Floyd, he is very knowledgeable of Real Estate purchases and Sales. Give Matt a call and let him help you with all your Real Estate needs.